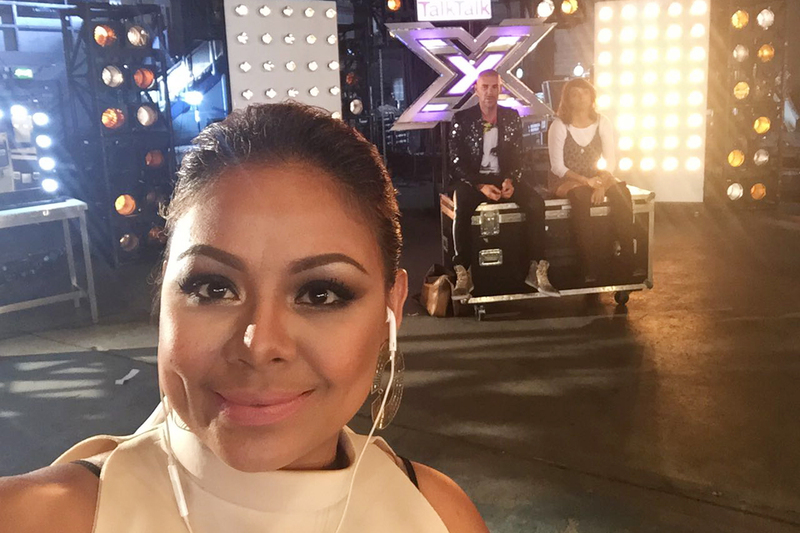 Days after X Factor UK aired Filipino singer Ivy Grace Paredes’ final performance on the show, the 33-year-old former Dubai expatriate broke her silence on her sudden departure from the competition. In an exclusive phone interview with Gulf News tabloid! Paredes said there were a lot of inconsistencies in the reports about her. “I’m okay now, I’ve already cried everything [out],” said Paredes, who sang Whitney Houston’s I Have Nothing for her last song. She had battled her way to the Six Chair Challenge and was set to move to the Judges Houses stage of the show. As previously reported, Paredes, an early favourite in the competition, was denied a visa to the US, where the competitors were to film for the Judges Houses segment in Los Angeles. However, she noted that her papers were in order, except that she applied in the wrong visa category. “Yes, I had a problem with my visa,” said Paredes. “When I first applied for the US visa, the US embassy officer found out that I had worked as a professional artist in the Philippines and in the UAE. At the age of 14, Paredes quit school to work as a singer in the Philippines to help her family. In 2009, she came to work in Dubai until early this year when she had to give up her job to join the X Factor UK. Paredes said she heard about reports stating that she was denied the US visa for other reasons. “I was forced to quit, yes it’s true. I had issues with my visa. But I was not denied. The visa was granted a little late. The process took three to four days and the X Factor team had to travel in two days,” she said. Paredes said she was grateful for the assistance from X Factor. “They helped me a lot. I stayed in London for about two days waiting for the issuance of my visa. They didn’t want me to go until my visa was released. They were still hoping it would be released just in time for me to travel to the US. They tried to expedite everything, but in the end all we could was wait,” she said. Paredes said she waited for X Factor to release its official statement before she told her side of the story. “When X Factor released the video with Sharon Osbourne [who was meant to be Paredes’ mentor on the competition] talking about her disappointment that I could not join the show... then I decided to speak up to clear [the air],” she said. Paredes didn’t give up easily, though. She said she asked X Factor if she could still join the team in the US when she got her visa. “The problem was that my visa was released on the last day of filming of the Judges Houses segment of the show,” Paredes said. However, it’s not the end of the road for Paredes’ X Factor dreams. “X Factor assured me that I can join next year. They will accept me and I no longer have to submit a video audition. They will just call me for the live audition,” she said. Getting a wild card is another possibility. “I’m hoping for that, but I really don’t know what’s the mechanics for the wild card,” she said. Paredes said she’s taking the setback in a positive way. “I was not out because I failed as an artist. I was not able to continue because of some paper work, so it didn’t hurt that much. I know performance-wise they are happy with me. They all love me and I had all positive comments from them,” she said. Instead of going back to work as a singer in clubs, Paredes said she will try to focus on doing shows in the Philippines and abroad. “I’ve got shows booked for me in Qatar [October 11] and in Dubai on October 21. I just want to do shows for now than to have a regular job because I want more time with my daughter. Should I finally decide to join again X Factor UK next year, I need to be 100 per cent ready,” she said. Paredes said the experience allowed her to gain more supporters, not just from the Philippines but from all over the world. “I was a little worried that people will stop supporting me when I’m out of the competition. But it’s like the support I got increased threefold,” Paredes said. She said she has also learned big lessons from the experience. “I can’t be knocked out. I can’t be sad. If I nurture the pain, the pain will destroy me. The pain should strengthen me,” she said. Paredes, who has returned to her hometown in Bukidnon in the Philippines, said she will be in Dubai on October 21 for a show at Club of Asia at Wafi Mall. “I’m excited and really want to perform again in Dubai and meet all the Filipinos who are supporting me there,” Paredes said. After the delay in the issuance of my visa, I was not able to continue in the competition. Though I am devastated with this kind of exit, I am still hopeful for the future. I left UK with a little heavy heart. I did all that I can. I know I gave the best that I could. In my heart I did not lose the battle. Perhaps, this is not the right time to show to the world my full capacity as a singer... yet. To my supporters, this is not the end of the road, our journey has just begun. Your unwavering support will guide me into becoming a better artist today and in the future.